You might have noticed that I’ve been a bit quiet recently. I was away at BlogWorld (and had a blast!) 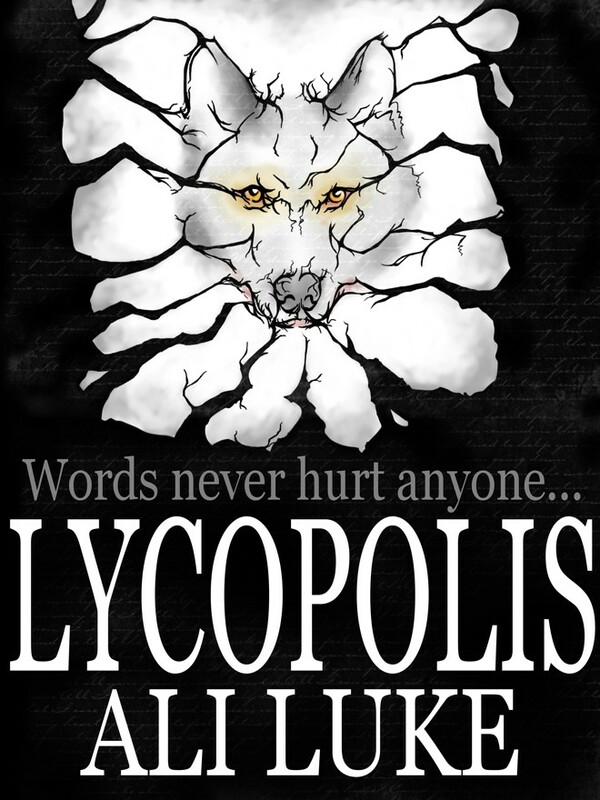 and I’ve also been busy putting the finishing touches to my novel, Lycopolis. This novel has been over three years in the making. It’s gone through seven drafts. Dozens of people have helped me along the way – with invaluable feedback, emotional support, great advice and more. And today, it’s out there and waiting to be read. I’ve published several hundreds of thousands of words over the past few years. You can find my blog posts all over the internet. I make a living through my writing. I’m hugely proud of that. But this novel represents, to date, my very best work. I’m thrilled (and a little bit nervous) to have finally published it. One Hallowe’en, a group of online roleplayers summon a demon, The Prince of Nightmares. Seth, who’s in charge of the game, says it’s “just for fun”. But disturbing things start to happen in real life: red marks appear on the foreheads of the gamers, and they’re all having nightmares about a dark forest. Secrets come out, friendships are broken, and the boundaries between the real, the virtual and the imaginary become increasingly fractured as the Prince becomes more powerful. Kay, a fresher at Oxford, is the only person who realises what Seth is doing – and it’s up to her to stop him. How exciting, Ali. Just purchased Lycopolis for my Kindle and can’t wait to get started! Thanks for all you do for writers…and for readers. Proud of you. I wish much success! I’m sure your book will be a wonderful success! OOH I GOTTA LET MY MUM GET ME THIS!!! read the first chapter, gonna read the rest of the free chapters soon’s i can. it’s just…wonderful. like, wow, writing. i hope my novels are going to be somewhere that good. oh man. i think i was hooked at the very beginning–the cover page. i can’t even imagine how much time it took to get the branches to form the wolf’s face, and then the shading and the right amount of contrast…just wow. Cheers! And I had no hand whatsoever in the cover, or it’d be a photo of some trees, badly turned into black and white 😉 My wonderfully talented friend Lorna Cowie did it for me. Glad you like it! w00twoot! Having a little dance party over here for you, darlin’! I’m sooooo proud of you. Seems to be a good plot. I am always interested reading horror novels or something similar to that. I think i’ll try this one and since it is your best book then i guess i’ll enjoy reading it. Adding my best wishes to the rest and as someone who enjoys your blog and various posts (found practically everywhere! A bit jealous on this point, I do admit), I can’t but believe that the book will be a great success. MT Nickerson’s last blog post ..How’s Your Wife, My Kids? Thanks MT! 🙂 Yeah, I get around the internet a bit …! Yes, I was wondering where you were…but knew you were busy somewhere writing. I would like to read it, it sounds cool! Zac | Turning Point Motivation’s last blog post ..A Simple Method To Improve Your Blog Everyday! Thanks Zac! Kobo’s uploading process is a lot more complex than the Amazon one (plus I need to get an ISBN) so give me a bit of time on that… will see what I can do! No worries I downloaded the Amazon app for my Iphone, and will read it on there, Thanks! Congratulations on publishing! This looks like a great read. i don’t have a kindle device, how can i access it in any other way? Farouk, I don’t have a Kindle device either, but if you have a smartphone (Iphone, HTC, etc…) you can download the Kindle app, purchase the e-book, and then download it to your smartphone. Downloaded sample of Lycopolis today. Then downloaded the book. Coudn’t put it down, read it in one sitting. Fast , furious and addictive. First fantasy book I have read and I loved it. Downloaded it on my iphone – kinda difficult to read though. Is a print copy available? Print copy is in the works, but will probably be a few weeks yet — sorry! Well, your book is finally here. Congrats!! Just went ahead and downloaded it to my ipad and that will be my weekend attraction. Will tell you my thoughts in my next comment.